I was so happy to receive this print for Christmas. 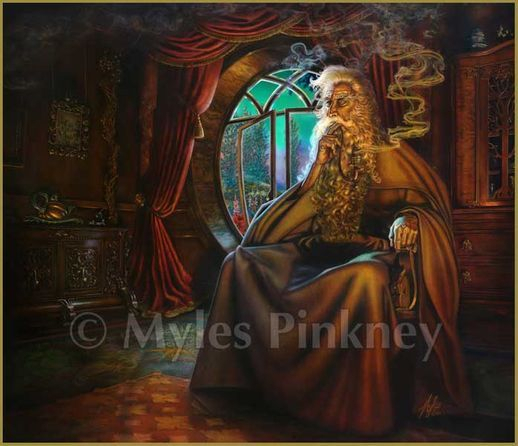 It truly captures the feeling of Gandalf from the LOTR books - regal, mysterious, knowing. And I love the imagery in the smoke, as Gandalf was always the expert at creating interesting formations in his smoke trails. A long time fan, I'm hoping to collect several more prints! I would like to be sitting on that window sill, breathing in that pipe smoke. Myles is an amazing artist.